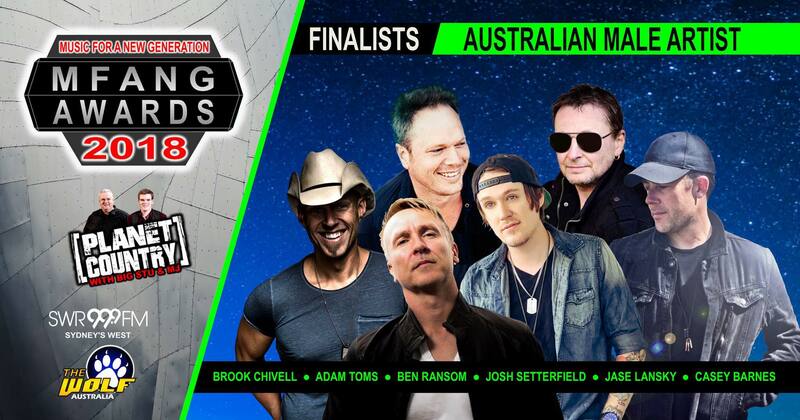 Adam is excited to be named a finalist in the 2018 MFANG Awards (Music For A New Generation) The awards are developed by Planet Country Radio Australia are the only annual Australian music awards dedicated to honouring ‘New Country’ artists and those who take country music to a new generation of fans. Adam is a finalist in the Australian Male Artist section and he's honoured to be in the mix with a great bunch of other Aussie artists. 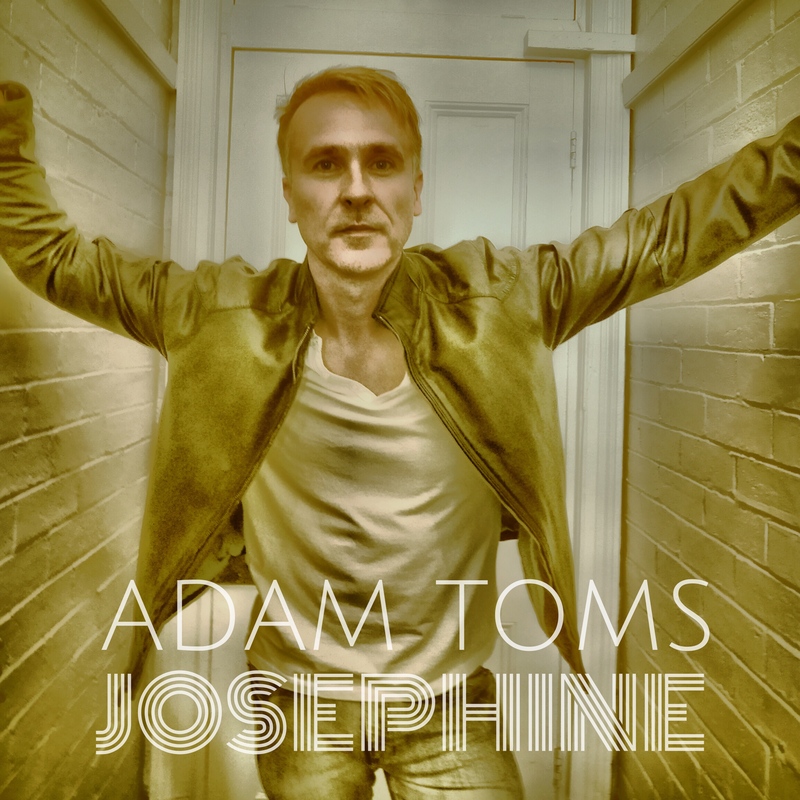 Josephine by Adam Toms combines sounds of country rock and southern rock to present a powerful thumping track. Written recorded and produced by Toms this is the 4th single from his 2018 album release and will have you singing along in no time. Adam's new album 'Where Were You?' 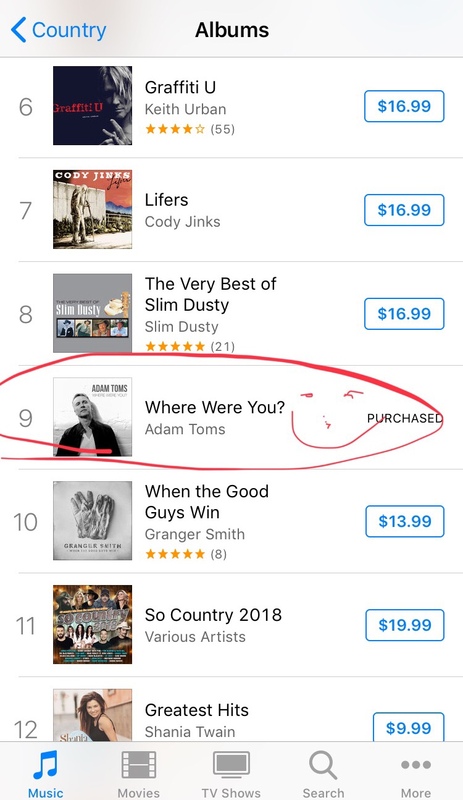 entered the iTunes Country charts at number 10 on its day of release and peaked at 9. This is a big feat for a totally independent artist on a day where several other national and international big name acts also dropped albums. Adam is overwhelmed with the result and its a great indication of how well this album is and will continue to be received. In other news his single 'Say You Love Me' is getting lots of radio airplay throughout Australia and beyond. Visit the STORE page to purchase 'Where Where You?' today. Adam has just released his latest single to radio and all digital stores. The accompanying film clip put together by Night Owl Productions captures all the emotion in Adam's lyrics leaving the listener breathless by the end. Visit the STORE page to purchase the single order Adam's new album 'Where Where You?' today. Adam releases his new single 'Say You Love Me' to radio and digitally on Friday 13th July. The self penned track is a big 'ol' power ballad which leaves the listener breathless as will the film clip. Also on Friday the 13th July people can pre-order Adam's new album 'Where Were You' via iTunes and all good digital retailers. If you're after a physical CD though you can purchase it directly and securely from this site. Visit the Store page. 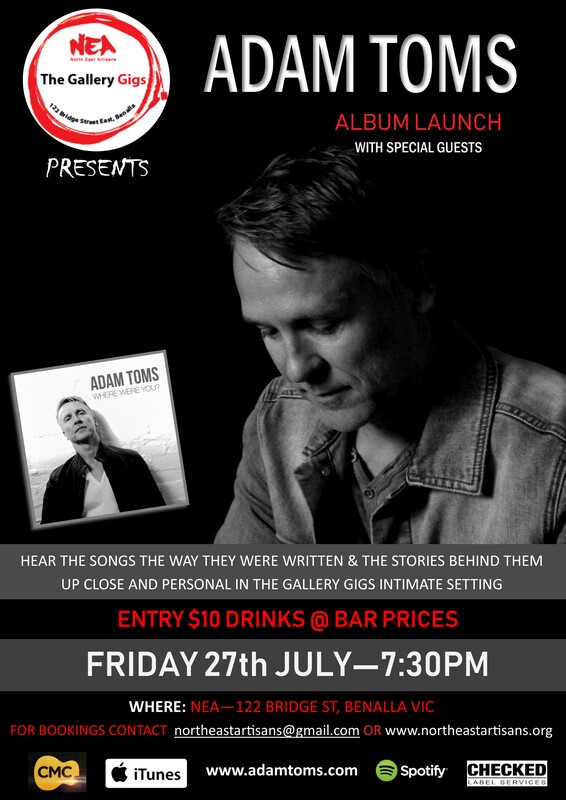 To help celebrate the release of the new album Adam is doing a special show in his hometown Benalla, VIC. As this is an up close and personal event seats are limited so please click on the poster and follow the link to book now to avoid disappointment. The release date of Adam's new album has been locked in for the 27th July. Pre-orders will be available from July 13th. A new single and film clip will also be released to co-inside with the album. 'Too Young To Know Better' is the second single for Adam's forthcoming album. Featuring his eldest son Mitch this film clip was a whole lot of fun to make. 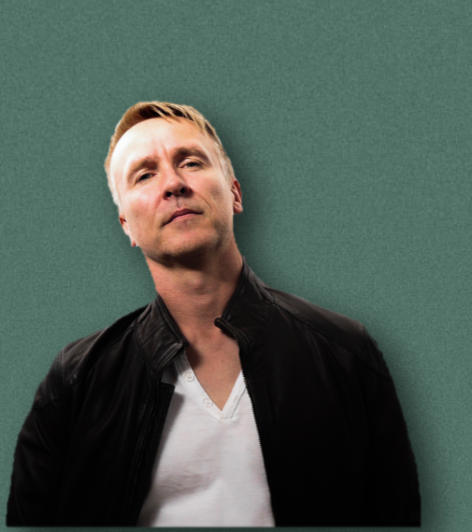 Click below for a preview of the new single. The long awaited new single 'Where Were You When' is out now. The song co-written with Troy Kemp peaked at number 6 on the iTunes Australia Country charts and its reaching the core of most who listen. Told from the point of view of Adam asking the question 'Where Were You When', for all the milestone moments in a young persons life. 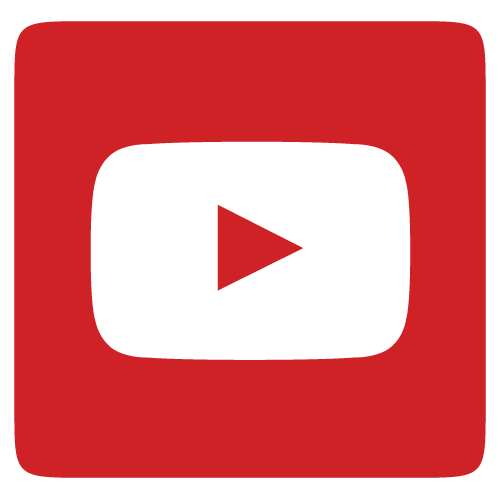 Be sure to check out the film clip.